Ensemble Video users can upload nearly any format. Ensemble Video is a video platform that facilitates the upload and conversion of a massive array of video and audio formats. Ensemble Video can transcode from virtually any media format to standard media formats used today, to ensure delivery to variety of devices. 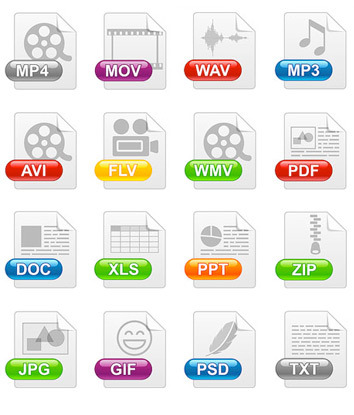 Additionally, Ensemble Video supports standard document and image formats. Ensemble Video's broad format support is ideal for customers who create and upload a variety of file types across their organization. Ensemble Video's encoding tools allow users to upload nearly any format and encode that video to a standardized output for multi-device viewing. Ensemble users can import cloud recording and captions from Zoom and publish videos to their LMS, CMS, Blog and Ensemble Video publishing options. Learn more about the Zoom integration. Ensemble users can import videos from YouTube™ and publish videos to Ensemble Video playlists and portals. Learn more about the YouTube™ integration. Using the Dropbox tool, you can set up an Audio or Video Dropbox so that students, friends, colleagues or other constituents can submit media to you without having to log into Ensemble Video. Ensemble Video was designed for large scale content producers and is great for multi-user environments that require standardized outputs. Ensemble Video administrators can specify local or shared network directories to ingest content from users, video appliances or encoders.